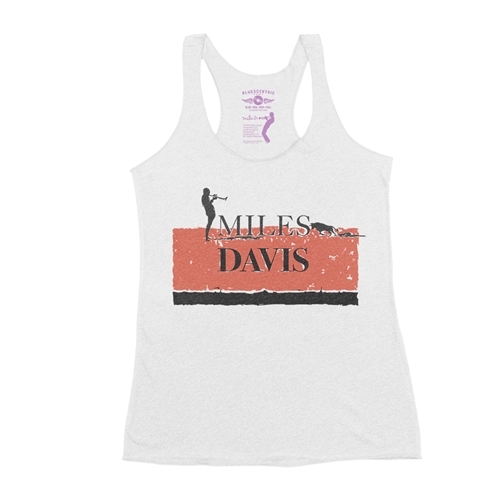 This new official Miles Davis t-shirt is inspired by a prolific Miles work, Sketches of Spain. Released in June 1960, Miles and frequent collaborator Gil Evans hadn't specifically set out to create a Spanish album, but Miles artful interpretation of Spanish melodies and arrangements, with compositions by Joaquín Rodrigo, created a masterful new collection of music. 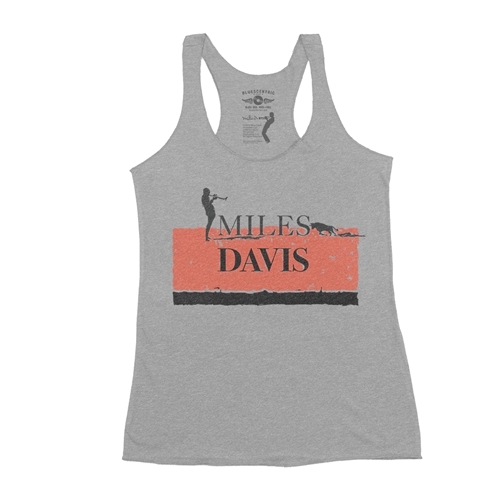 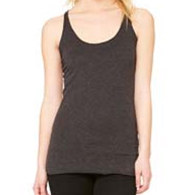 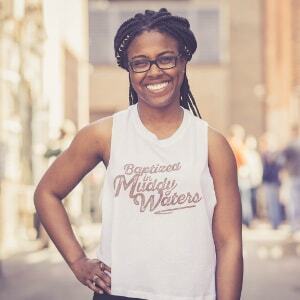 The Bluescentric Brand Miles Davis Racerback Tank is a premium Next Level brand fabric-laundered 4.2oz triblend 50/25/25 polyester/combed ringspun cotton/rayon racerback tee.